Peter Scalzo is entering his 14th year of a cancer journey. 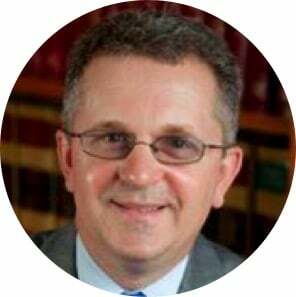 He has been an attorney for 22 years in the Danbury area but is currently on disability due to the recurrence of the cancer. Peter has been treated by world leaders in the field and is often told that he should have died years ago by medical professionals. He has had over 15 surgeries and been told six times that he has cancer. Peter has spoken extensively at events and churches about his journey and how God can use storms, trials or walls in our lives to bring transformation. When he was deep in despair in the ICU at a major Manhattan hospital Peter experienced the overwhelming love and presence of God and enjoys sharing about his journey of finding peace and hope in the storm. Peter has 6 children and lives in Brookfield, CT. He has been a Christian for 46 years and is a member of Walnut Hill Community Church in Bethel, CT. Peter was recently on the Elder board at his church and is currently the Ministry Leader for Celebrate Recovery and Cancer Support.